You would miss it if you blinked. You could pass it in one second, never knowing the significance and the history of the very ground on which you are walking. 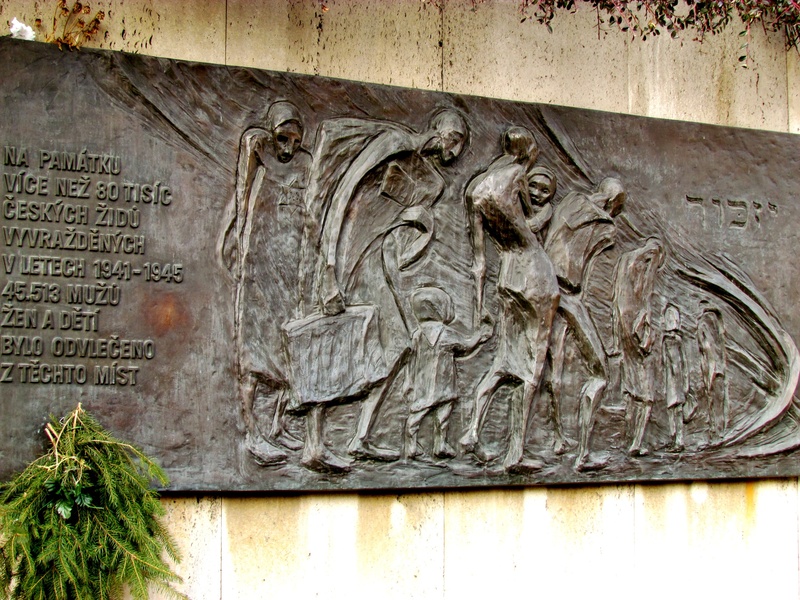 But right there, located under the bustling Park Hotel in the middle of cosmopolitan Prague 7 sits the Holesovice memorial, a small plaque which in Czech commemorates the fact that what is now a thriving, transportation-heavy area was once the deportation point for thousands of Czech Jews. Just yards away from a burger restaurant and grocery store, swarms of innocent victims once stood, clutching all the belongings they were allowed, waiting to meet the horrific fate that no one could expect. From that very place, they were first sent to Theresienstadt concentration camp (often referred to as Terezín), a Nazi German ghetto established by the Gestapo in the fortress and garrison city of Terezín, located just 65 kilometers (approximately 38 miles) from Prague. To outsiders (including the Red Cross), the camp was presented by the Nazis as a model Jewish settlement, but in reality it was a concentration camp where over 33,000 inmates died as a result of hunger, sickness, or the sadistic treatment meted out by their captors. Theresienstadt was also used as a transit camp for European Jews en route to Auschwitz. The tiny Holesovice memorial introduces two large issues: The first is the omnipresence of the Holocaust in Europe, and the second is how and to what extent to memorialize it. Unlike in America, where a special space must be carved out in classrooms and museums to teach and discuss the Holocaust, in Europe it is impossible to compartmentalize or avoid it. It can neither be ignored nor forgotten. Every place has significance, every building and cobblestone has seen more history, and in many cases, horror than we can imagine. As awful is it is to see modern day life prospering around anything related to the Holocaust, there is extreme significance in the paradox of memorializing while moving on. On the one hand, the Holocaust absolutely must be remembered, and buildings and camps must be maintained to teach the lessons of the past and honor the victims. On the other hand, life must continue, families must emerge and prosper, cities must grow and thrive. The world has suffered too greatly from wartime atrocities to allow us to be set back any further. Thus, Europeans have settled into an uncomfortable cohabitation with the Holocaust. They cannot cordon off specific areas for memorials and tell people not to live there. They cannot compartmentalize, cannot separate, and absolutely cannot forget it. There is no “here” and “there”, there is no “then” and “now.” In Europe, the Holocaust simply is. This piece captures the difficulty in accepting the past and living in the world that still goes on around it. Very well written. well written and reported! To say the least, but the underline energy of the article took my breath away. Kayla Green you never fail to amaze and bring JOY to my life. eric….